Benedict Cumberbatch is the voice of the Grinch in the new 3-D computer-animated holiday film, which opened last weekend. Cumberbatch’s version of the Grinch is funnier and a bit more likable than past presentations of the character. Viewers get to see the Grinch’s life as an orphan, who was left alone at Christmas. That experience left him permanently anti-Christmas. Although there is more sympathy for this Grinch, that doesn’t mean the film is missing the mean, green creature’s classic and conniving jokes. The Grinch tries to slingshot a snowball to ruin the Who’s massive Christmas tree, but the plan backfires as the oversized cannon starts to slip off the cliff and the Grinch is flung into the Christmas tree lighting ceremony. After the failed schemes, the Grinch hatches a plan to steal Christmas from the Who’s in Whoville, who love celebrating Christmas. He finds a reindeer and a sleigh, and on Christmas Eve, when all the Who’s are sleeping, he steals all of their presents and Christmas decorations–leaving the cookies behind. His last house belongs to Cindy Lou, who has concocted a scheme herself. She plans to capture Santa Clause to ask for a special gift. This is where the film takes a more modern twist. Cindy Lou’s mom is a hardworking, single parent with three children. She works the night shift as a nurse at the local hospital. All Cindy Lou wants for Christmas is for her mother to not be sad. The thieving Grinch, who Cindy Lou believes is Santa, is captured. The Grinch assures her that she will get presents, but Cindy Lou tells him she does not want presents. She would rather see her mother happy. Whether the Grinch can make that happen, what happens to the presents and decorations and whether or not Cindy Lou’s mother is made happy, well, we’ll hold back those details. 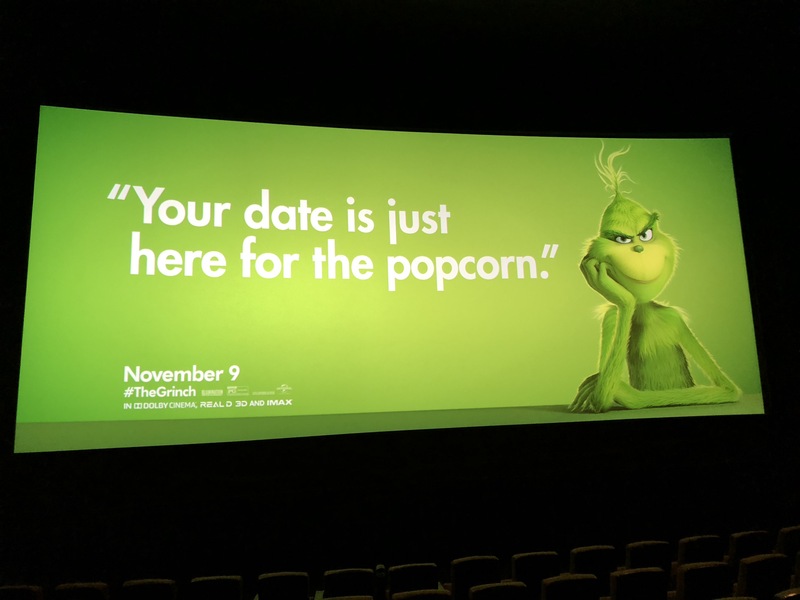 We don’t want to spoil the movie, but here’s one tidbit: the Grinch’s heart grows three times its normal size. 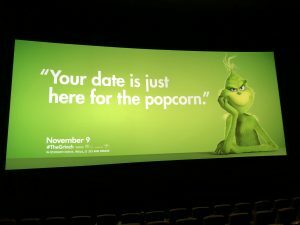 “The Grinch” is already a hit, raking in 61 million dollars on its first weekend.